Nearly nine in 10 Americans (87 percent) favor allowing young immigrants who entered the U.S. illegally as children to remain in the U.S. – a policy known as the Deferred Action for Childhood Arrivals (DACA) program. This is a view that spans partisan lines. But Americans divide over whether the issue is worth risking a shutdown of the federal government. Democrats think it is, Republicans do not. 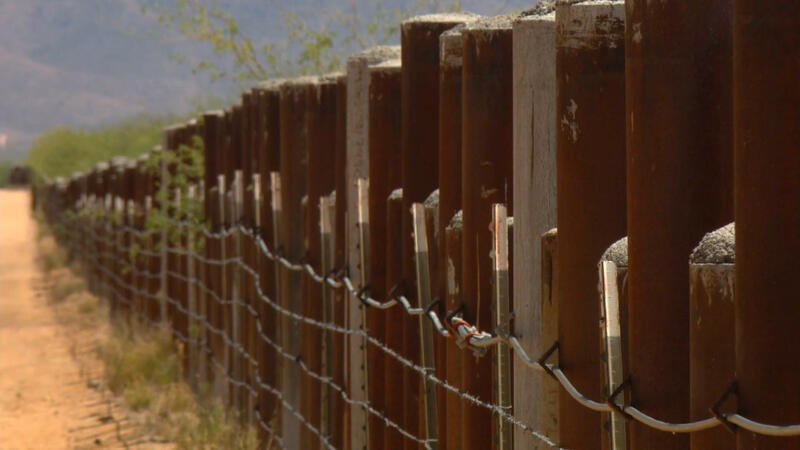 Most Americans continue to oppose building a border wall, but seven in 10 Republicans support it. More than half of Democrats (57 percent) say it's worth shutting down the government to have young illegal immigrants brought the U.S. stay in the U.S. Most Republicans, while they support DACA, don't think it's worth risking a shutdown for. On the border wall, however, a slim majority of Republicans (51 percent) think it's worth risking a government shutdown over funding for it. If the wall is ultimately built, 85 percent of Americans (including majorities across party lines) think the U.S. would foot the bill, not Mexico. Most Democrats and independents are bothered by the possibility of the U.S. paying for the wall, but Republicans, two-thirds of whom favor the wall, are not. Three in four Americans find the remarks President Trump reportedly made about immigration from Haiti and African countries unacceptable for a President to make, but fewer, 52 percent, say they are personally bothered by them. Seventy-two percent of Republicans say they are not personally bothered. Asked which criteria the U.S. should use to admit immigrants, slightly more Americans (47 percent) prefer that priority be given to people based on their education, job skills, and work experience than people with family members already living here (39 percent). Most say potential immigrants from countries struggling with political and economic stability and those from stable countries should be treated the same. This is the majority opinion across political stripes. In a very partisan era, one idea draws near universal support across party lines: cooperation. Ninety-two percent of Americans want to see more cooperation between Democrats and Republicans in Washington over the next year. Nine in 10 Republicans, Democrats, and independents say they want this. This wish for more cooperation comes amidst negative views of both political parties. Fifty-two percent of Americans have an unfavorable opinion of the Democratic Party, and 60 percent view the Republican Party unfavorably. These numbers have changed little from last year. This poll was conducted by telephone January 13-16, 2018 among a random sample of 1,225 adults nationwide. Data collection was conducted on behalf of CBS News by SSRS of Glen Mills, PA. Phone numbers were dialed from samples of both standard land-line and cell phones.